I’m A Hive Ambassador, Y’all! I am really excited to be a part of the launch of the new Hive programs. I will be sharing some of the great things about Hive in the coming months and show you the things they sent me. 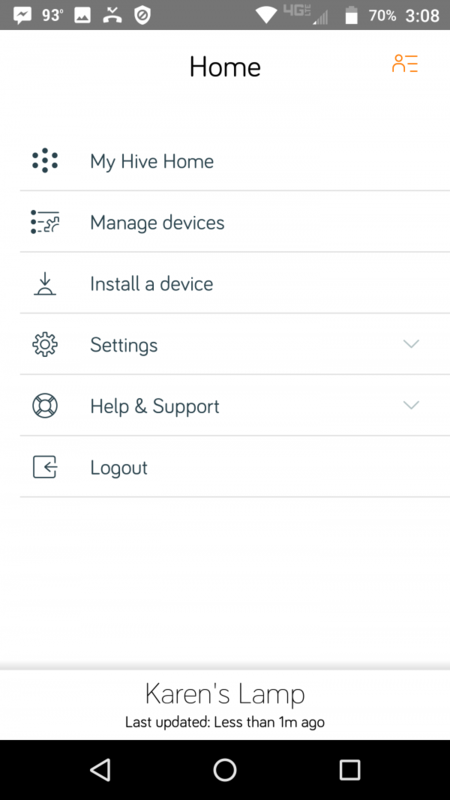 So, you might be asking, what the heck is Hive? Well, it is a product line, and an app, and a subscription service that makes them all work together through a Hub that connects to your broadband router. The Hive App is available for both Apple and Android phones. 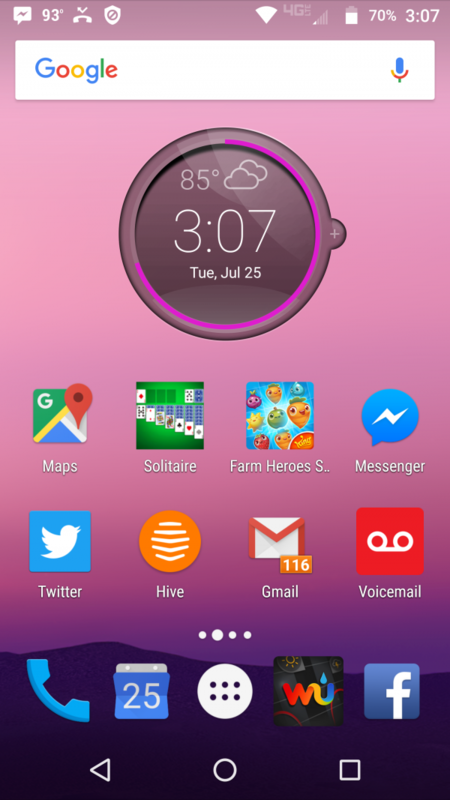 First, the app is available for both Apple and android phones, tablets and other devices. You download the app to your phone, and create an account. 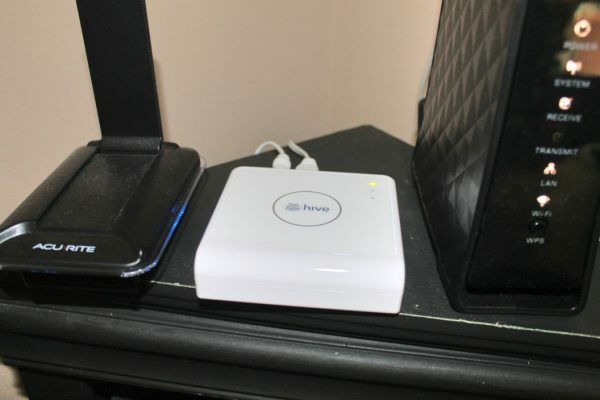 Once you have set up your account, then you connect your Hive Hub to your broadband router via an ethernet cable that is packaged with the hub. It is very simple to plug in the hub, and as soon as you do, you will be able to see the Hive products that you have placed around your home. The Hive Hub, connected to my satellite internet broadband router. 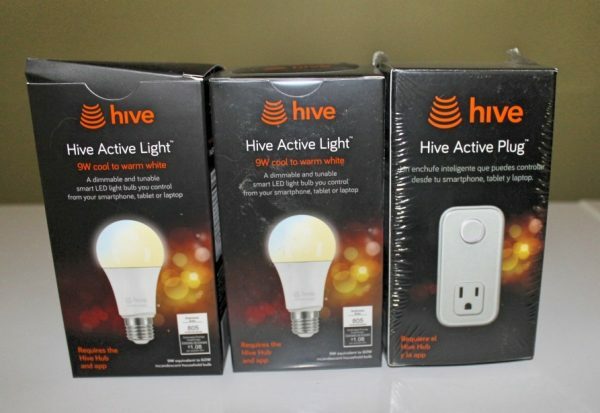 The items they sent me are two Hive Active LED Light Bulbs and a Hive Active Plug. 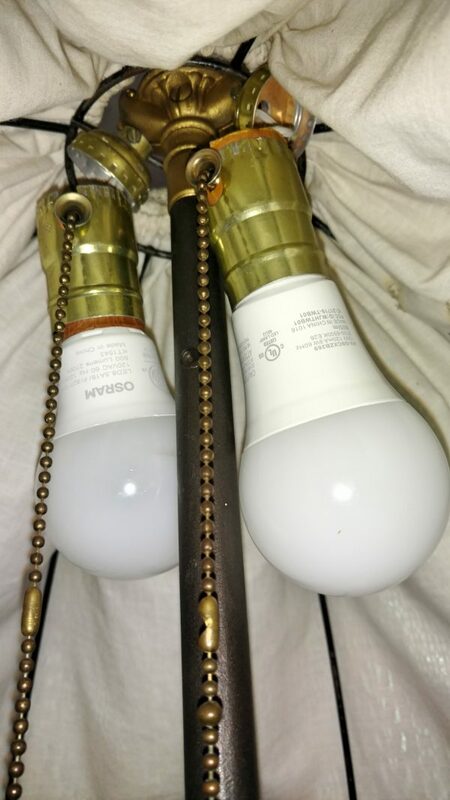 These 9 watt LED lights are as bright as a 60 watt bulb, and can be dimmed via the app, the light color can be changed from warm to soft, and can be turned on and off. 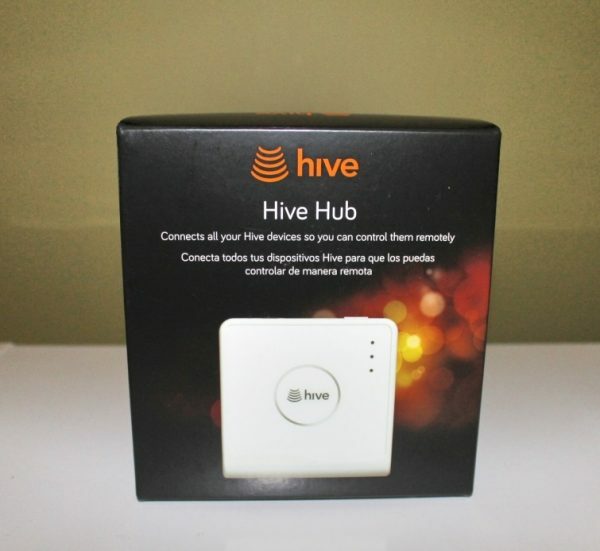 The Hive Active Plug can be plugged into any wall plug and can then be used to control any electrical appliance that you have plugged into it. Do you have an electric heater? Turn it on before you get home from work so you have a toasty room to come into on cold winter days! 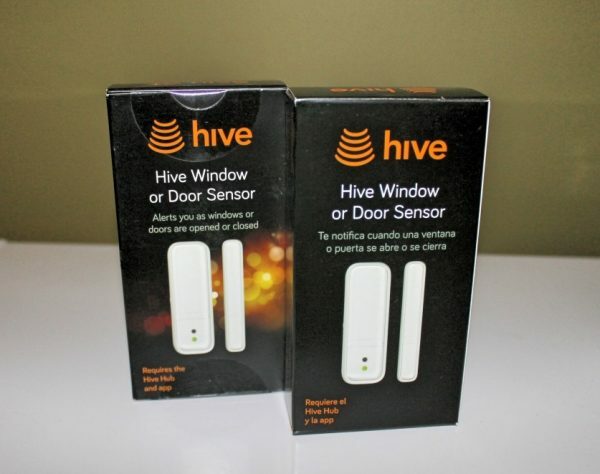 The Hive Window and Door Sensors alert you if windows or doors are opened or closed. A great tool to have when you’re out of town, so you can alert the neighbors or the police to check on your house. They sent me two of these. I can put one on the front door and the back door, or one on the front door and one on a window. 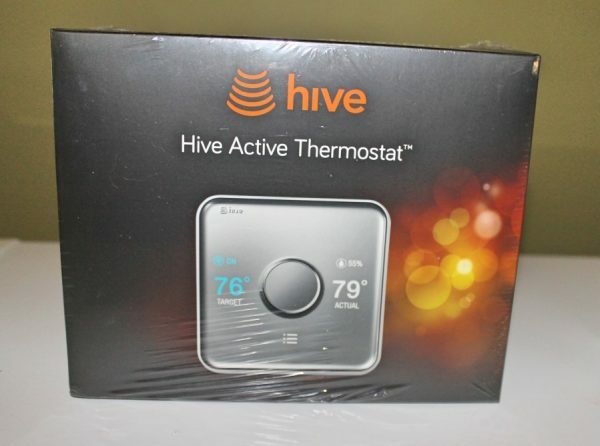 I absolutely love the Hive Active Thermostat. It will work with most furnaces and heat pumps, and can be controlled via your Hive account on your smart phone. 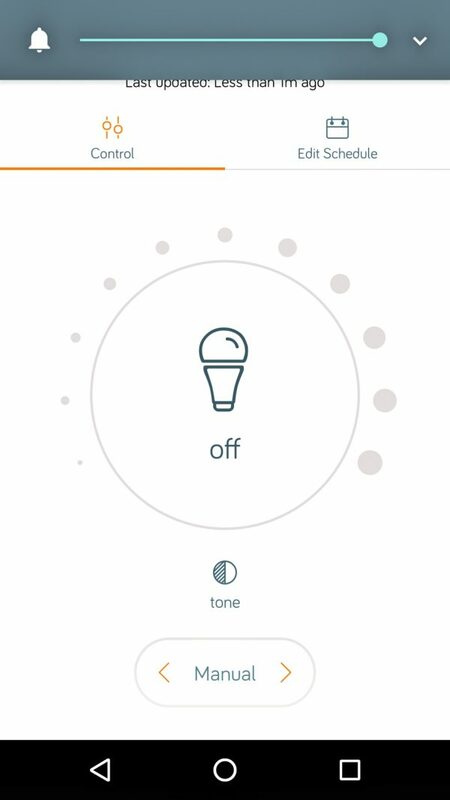 I love that I can turn the heat up or down from the bed, without having to get up, just by using the app. When I used to work at a job I would have loved to have had this to turn the air conditioning on about a half hour before I got home from work. Now, though, since I am retired, I think it will be such a joyful thing to be able to turn the heat up before I get out of bed on a cold winter day! And of course, I received the Hive Hub. The Hub controls everything else. Want to know what I think is the neatest thing of all? I have an antique lamp in my living room. It was manufactured around 1920 or so, long before we ever thought about the internet, or being able to access the things in our home when we weren’t there. 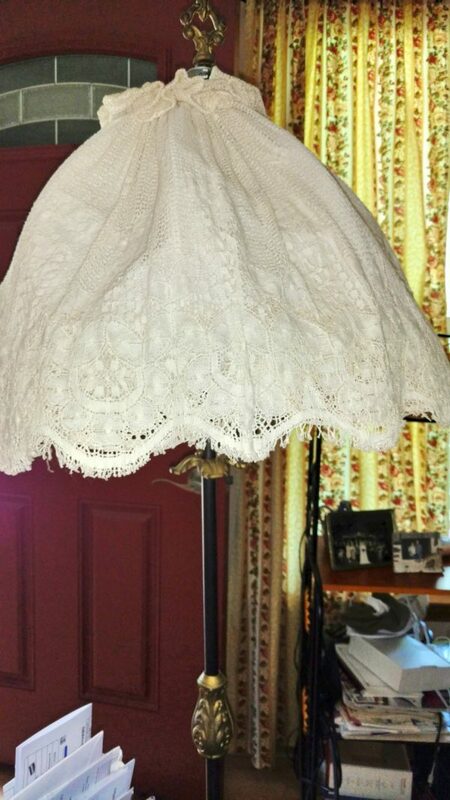 My antique lamp, circa 1920. Now, it has a Hive Active Light in it, so I can control it from my phone, from anywhere. How neat is that? I was away from home for the weekend a few weeks ago, and was able to turn the light on and off while I was in downtown Atlanta. So cool! The Hub Active Light bulb in my antique lamp. My lamp on my Hive Account.